To identify the wild that I meet along the way I have some help too. These are my assistants since I actually started to explore the wildlife. Since 2010 I have been using the Nikon camera's. 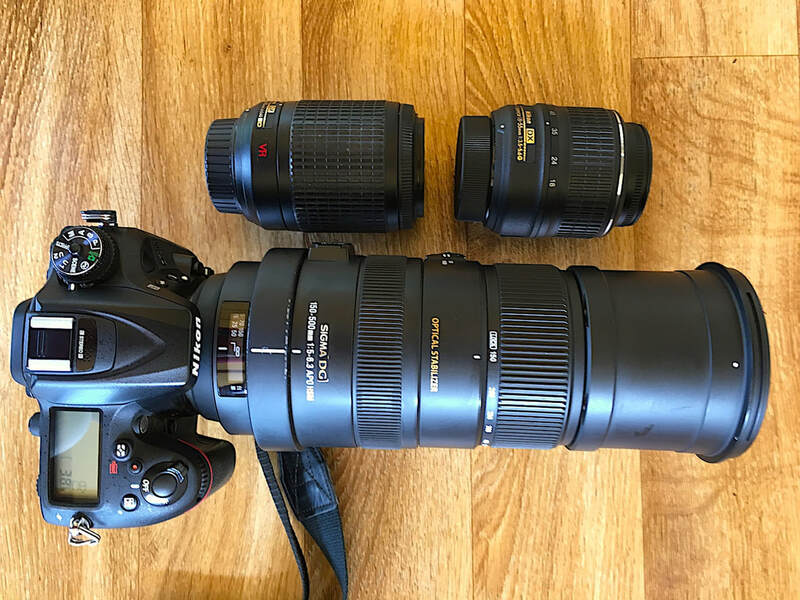 These are the lenses that I use to photograph: 18 - 55 mm, 70 - 200 mm and 150 - 500 mm. 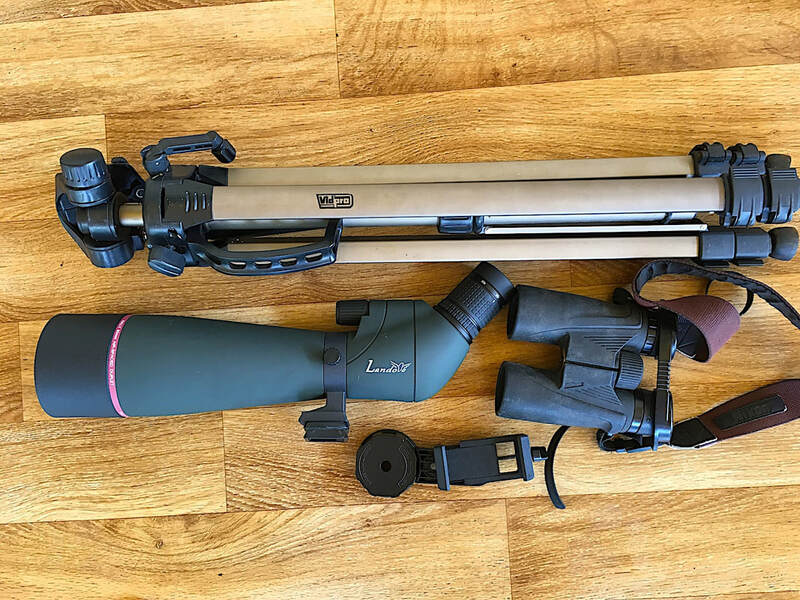 For birdwatching I have been using the Nikon binocular since 2012 (second hand purchase, but still doing fine) and lately I decided to go a step further and purchased a spotted scope with adapter (digiscoping). The Tripod (2014) has finally a purpose. I started since 2012 with camera trapping. 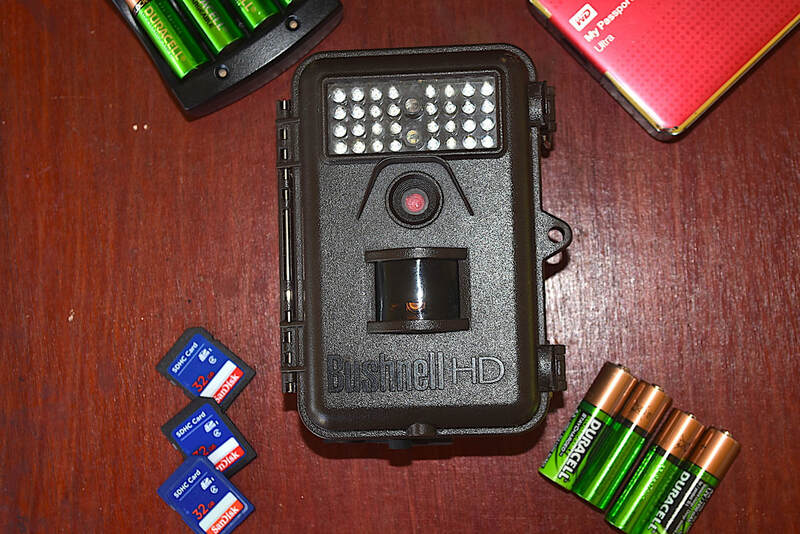 I have always used the Bushnell HD 12 MP. Since I use them 24/7 I have to replace them every 2 years. But the info that I collect are priceless. When I am on vacation, I like to travel light. So no heavy and bulky camera's are joining me. 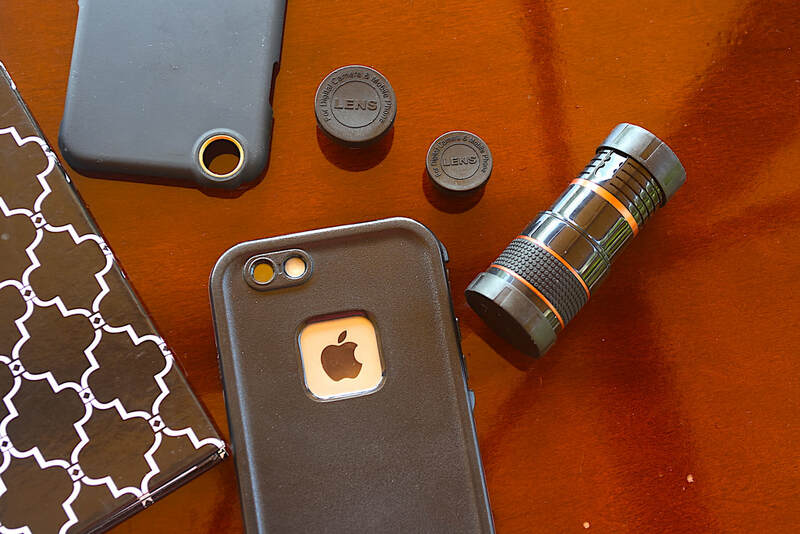 Just my iPhone and a Phone lens kit. Believe it or not but I don't use Google to identify wildlife. I just use old fashion books. Here are the books that I have been using for identification and some even look worn out as I used them for years. 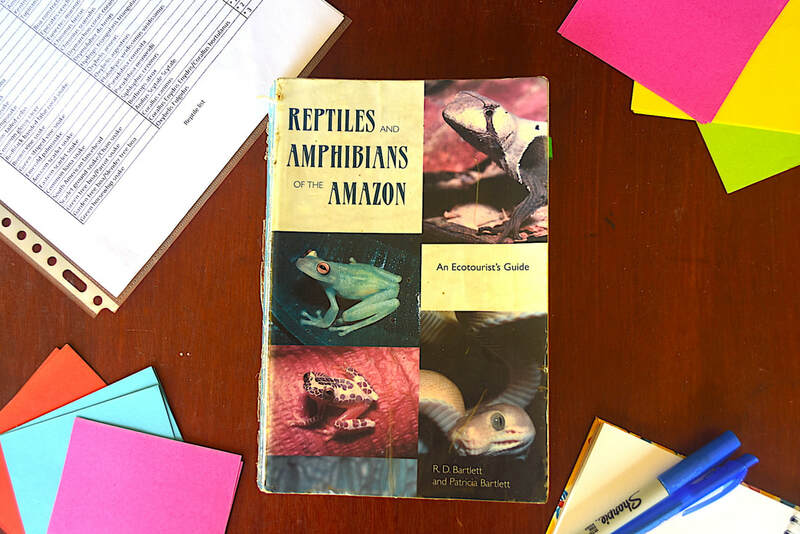 Since 2015 I have been using this Reptile book. 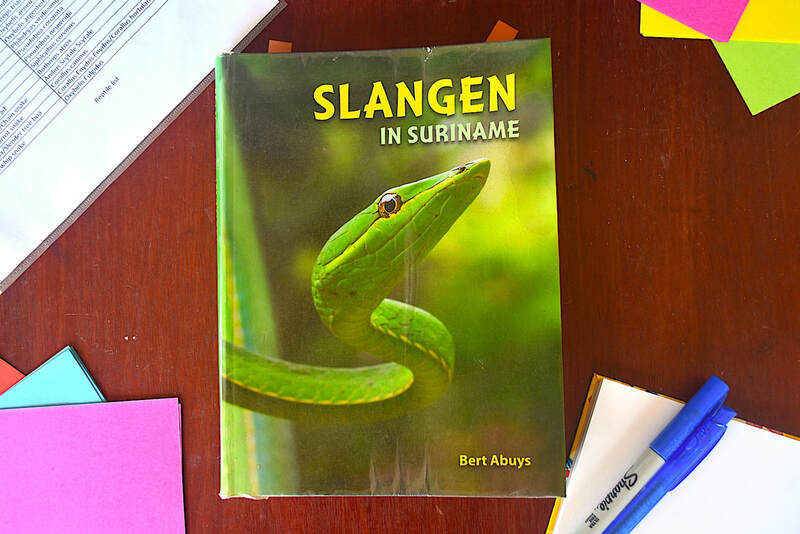 It is written in Dutch, but the photo's are so clear that you can identify the reptiles easily. This one looks kind of worn out, but that is what suppose to happen with these kind of books: to be used. I have been using this one since 2010. Quite handy for identification. 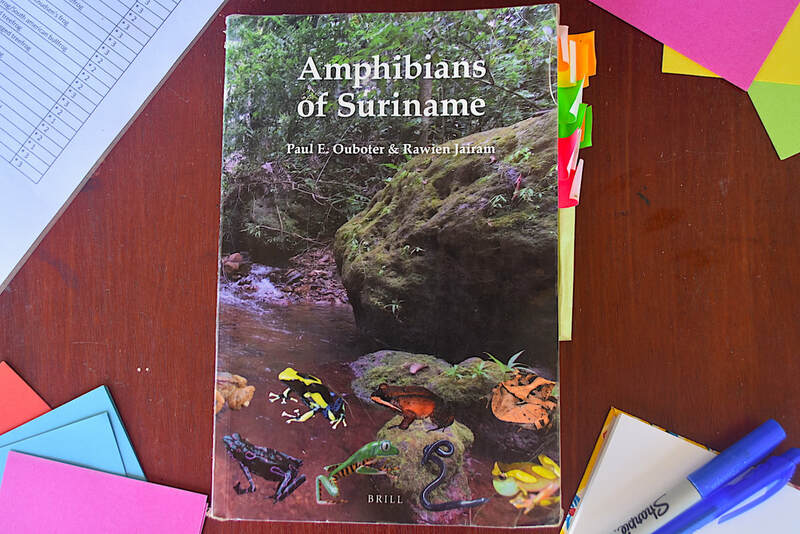 I was so happy to learn that Suriname also had its own Amphibian book. I have been using this one since 2014 and by the look of all the colored post-its you can see that I have spotted quite a lot. 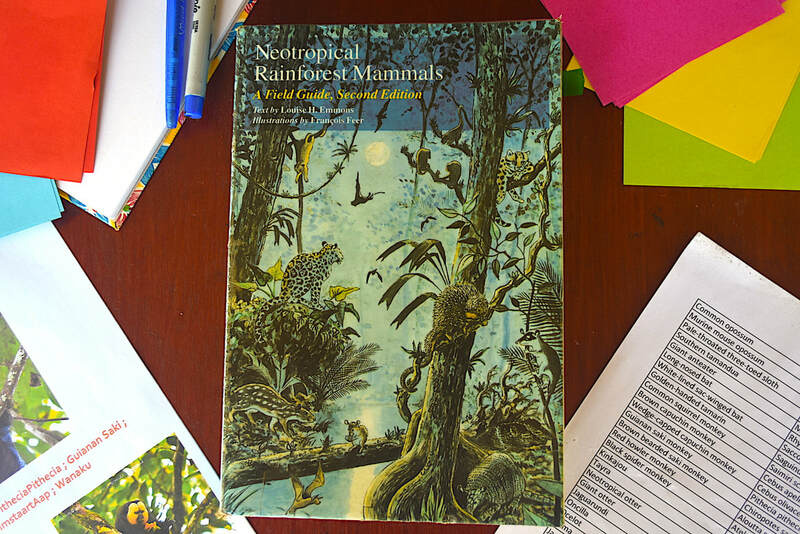 This Mammal book I have been using since 2010 too. With the help of all these books I was able to make a list of what I've spotted so far. For the birds I have been using 2 different books. This one since 2015, I got this one from the authors. Just like what the title said, I've been using this one quite a lot in the field. 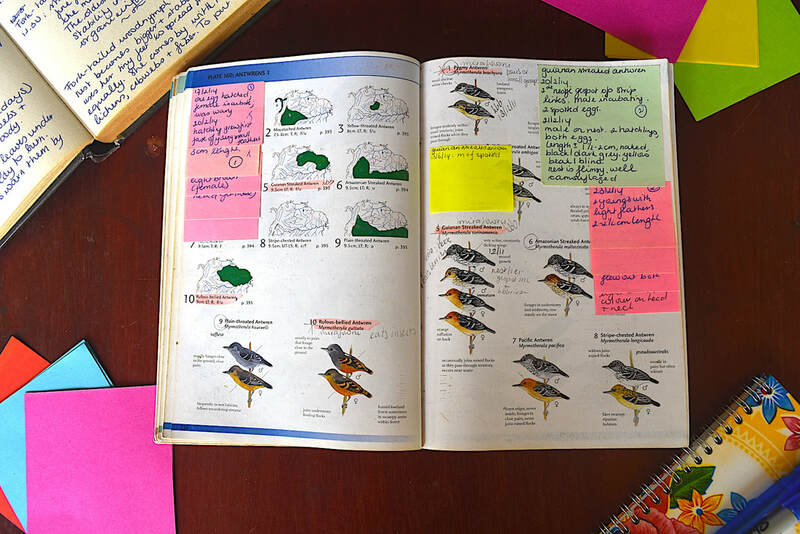 This bird book I've been using since 2010. When I first saw this book I didn't know where to start. At that time I had few knowledge about the birds. 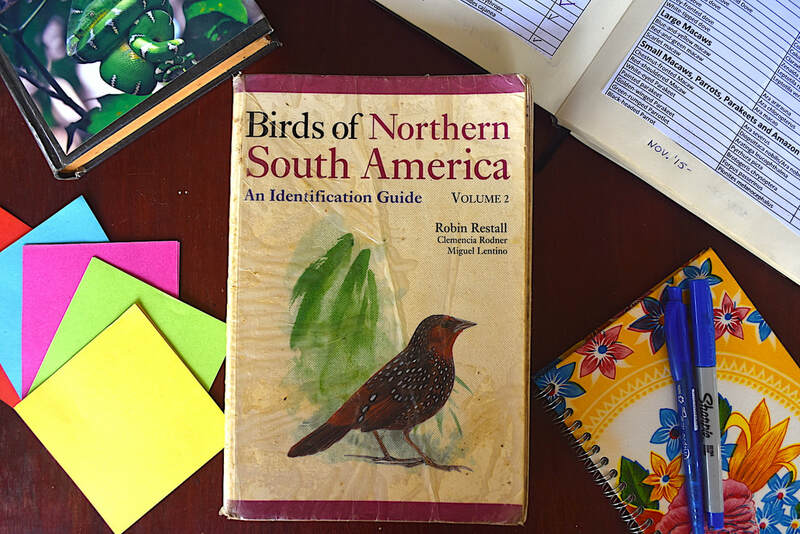 I remember that a bird guide advised me to write everything down about a certain bird I spotted for the day. And boy did I listen to him. Here is a sneak peek of how the inside looks like. Sometimes there isn't enough space for my notes so I also use a notebook (upper left in the photo). 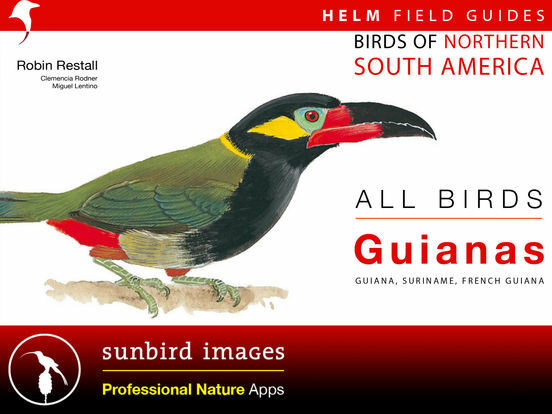 Someone recommended this app and I have been using the Sunbird App for all the bird sounds ever since. Quite handy as all I need to bring along is just my phone. 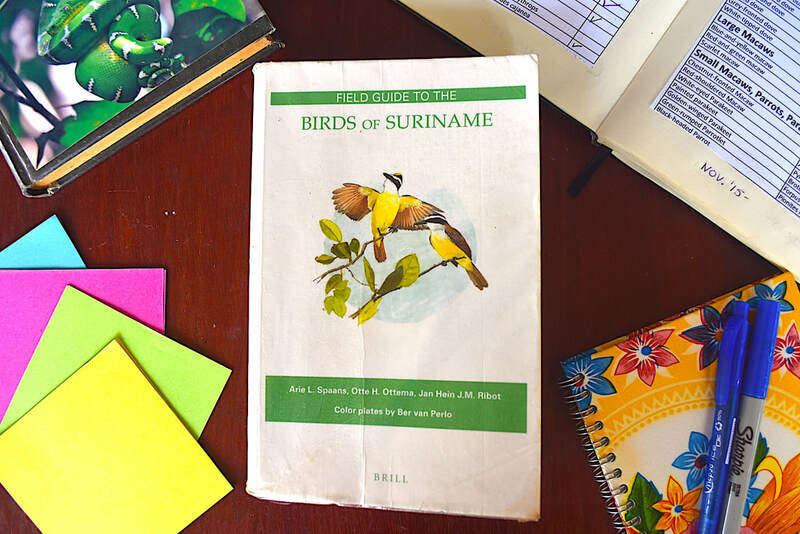 It covers all the birds of the Guianas (British-Guyana, Suriname & French-Guyana).